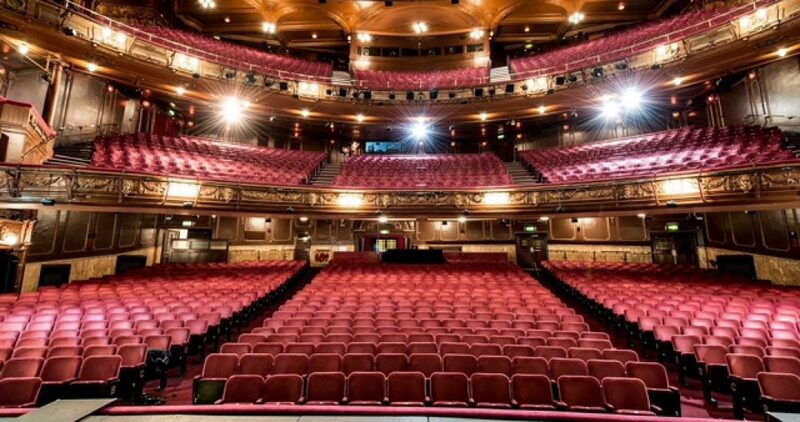 The Play That Goes Wrong, the West End’s Olivier Award winning box office hit, is at the Milton Keynes Theatre until Saturday 18th March. The Play That Goes Wrong is set to receive its Broadway debut, with the original cast opening at the Lyceum Theatre in New York on 2 April 2017. It is a remarkable rags-to-riches story for a play, which started its life at a London fringe venue with only four paying members of the public at the first performance and has since played to an audience of over half a million. Mischief Theatre was founded in 2008 by a group of graduates of The London Academy of Music and Dramatic Art (LAMDA) and began as an improvised comedy group. The company made its television debut last Christmas on BBC One, with a TV production of Peter Pan Goes Wrong filmed in front of a live studio audience, featuring guest star David Suchet as the narrator. The company is led by Artistic Director Henry Lewis and Company Director Jonathan Sayer. 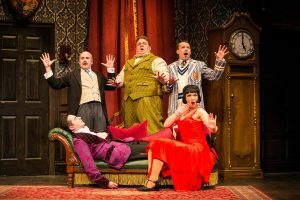 The Play That Goes Wrong is at the Milton Keynes Theatre until Saturday 18th March. I went along early in the week and I would be less than truthful if I said all ran smoothly. The few minor technical hitches were cleverly covered up by this stellar cast led by actor/director Trevor (played by Graeme Rooney). I.m sure that with the help of a few nail, a hammer and a roll of gaffer tape all will be well by the time you see this – and see it you must if only to witness the best corpse in the business played by Jason Callender.